GALION — It’s definitely mosquito season in Ohio. The only scent Sunday evening in Heise Park that was stronger than the smell of smoke from the fireworks display was the unmistakable aroma of mosquito spray on most of the visitor to Heise Park. To that end, the Galion City Health Department will be conducting mosquito surveillance in an effort to track mosquito populations and the potential presence of diseases spread by mosquitoes, such as West Nile Virus and Zika Virus. Already this year, three samples in three Ohio counties have tested positive for West Nile Virus. In order to conduct mosquito surveillance, the Galion health department will be placing mosquito traps in various locations throughout the City of Galion. The traps will be set up in the evening and collected the following morning. Captured mosquitoes will be removed from the traps and sent to a lab for testing. If you spot one of these mosquito traps, do not disturb it. There will be a sign posted with each trap that marks the trap as property of the Galion City Health Department. Get rid of potential mosquito breeding sites around your yard by emptying standing water from flower pots, gutters, buckets, pool covers, pet water dishes, discarded tires and bird baths and any other place water gathers and remains. 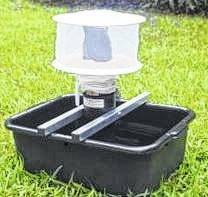 However, if you an area on your property that has standing water, and you would be interested in having us place a mosquito trap, please call 419-468-1075 for more information. 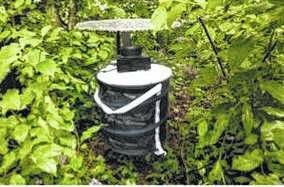 If mosquitoes are particularly bothersome in your neighborhood, Galion City Health Department will be providing free mosquito larva killing products in the near future.